Designed with the Adirondack Mountains in mind, Falls Lodge reflects the grand lifestyle of early 1900s wilderness retreats. It features sweeping views from its ridgetop vantage point, and its exterior combines native stone and massive timbers to create a grand appearance blending in with the natural environment. Upon entering the lodge, you’ll find an extravagant lobby complete with cozy fireplaces and comfortable, luxury seating. 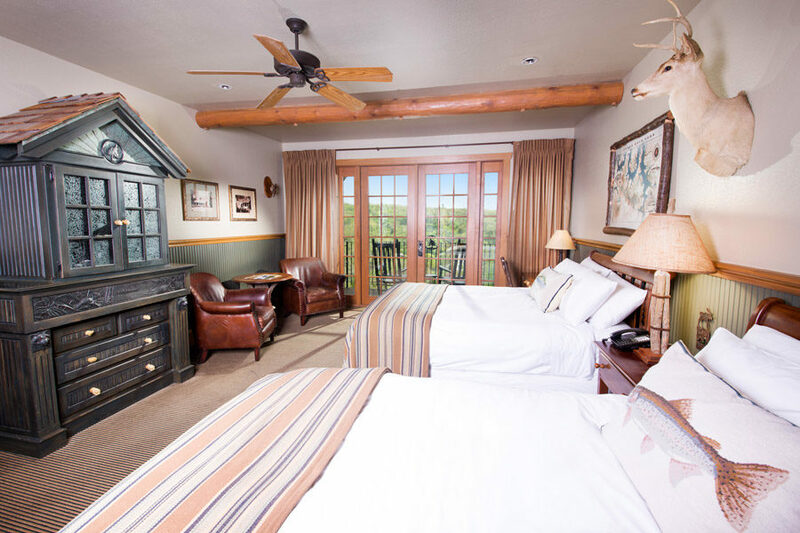 Each room features a balcony or patio with a treetop view of the resort, Sleep Experience Bedding, wireless internet access. Perched high on the property, Falls Lodge is a grand, rustic lodge offering breathtaking views. Each Double Queen room features a balcony or patio overlooking Table Rock Lake and the rolling Ozark hills. Falls Lodge is a grand, hilltop lodge overlooking Big Cedar. All rooms face the sparkling Table Rock Lake and feature a balcony with breathtaking views. The King rooms include luxury details like a fireplace and vaulted ceiling.